Hastelloy steels belong to the category of super-alloys or high-performance alloys. Most of the Hastelloy Steel Sheets and are nickel-chromium-molybdenum alloys. They have advantages like highly resistant to corrosion, maintaining exceptional hardness and strength even at high temperatures, high resistance to oxidizing and reducing agents. These Hastelloy Steel Plates are used in heat exchangers, chemical processing industries, nuclear power, and solar power industries, oil and gas companies, etc. Hastelloy Hot Rolled Steel Sheets & Plates are available in varying thicknesses and shapes. These are more common in comparison to cold rolled because they are cheaper and less time-consuming. 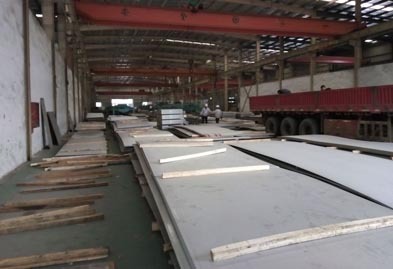 Hastelloy Cold Rolled Steel Sheets & Plates, although are tougher to manufacture, still are widely used cause of their advantages like superior surface finish, concentricity, and rigidity. 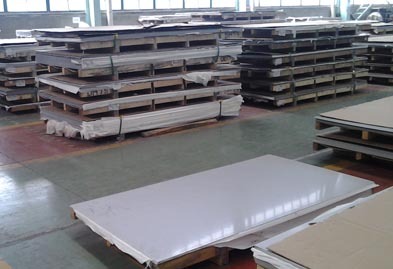 Hastelloy Polished Sheets & Plates can be formed by methods like electro-polishing and mechanical polishing. These help in removing the contaminants that aid corrosion and giving the surface proper finish. Hastelloy Galvanized Sheets & Plates have a metallurgically bonded layer of zinc or zinc-iron alloy to its surface that provides durability, abrasion resistance, toughness, slow corrosion, and resistance to mechanical damage. Hastelloy Perforated Sheets are available in different holes shapes, pitches, sizes, etc. The general varieties of perforations include the square hole, round hole, hexagonal hole, staggered pattern etc. They are found useful in chemical screens, separators, filters, strainers, etc. Hastelloy Chequered Sheets are specifically useful in chemical progression companies because of their resistance to various kinds of harsh chemicals, acids, sea water, brine solution, etc. We supply all sorts of Hastelloy sheets and plates products with a different range of sizes, wall thickness, and dimensions to cater all needs of industries at most competitive prices. Kindly contact us today to request a free quote! Jaydeep Steels stocks a wide range of materials and grades. Below are a list of all standard hastelloy sheets and plates materials and grades we stock. Our experienced team of metal experts will get you the metal you need when you need it. Call us today for your Hastelloy Sheet & Plate Needs!